Here's an interesting and super cool contest with you all on my #Instagram account. 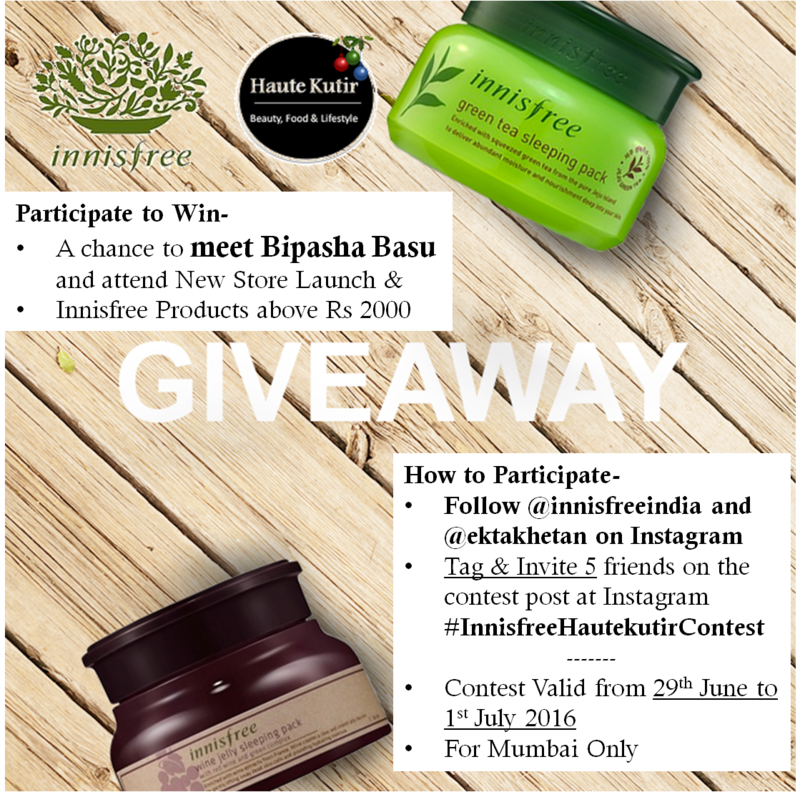 This July, Innisfree is launching a super new store in Mumbai and we are going to cover it. So if you have not followed us on our social media platforms like Snapchat [Ektakhetan], Twitter and Instagram yet, do click on the links and #followme today. Gosh, I am using just too many hashtags here. Nevertheless, as long as they help me relaying this beautiful giveaway that I am doing with Innisfree to more people across Mumbai especially the fans of Bollywood Actress Bipasha Basu and, Mumbaikars who love environment-friendly beauty products like Innisfree. 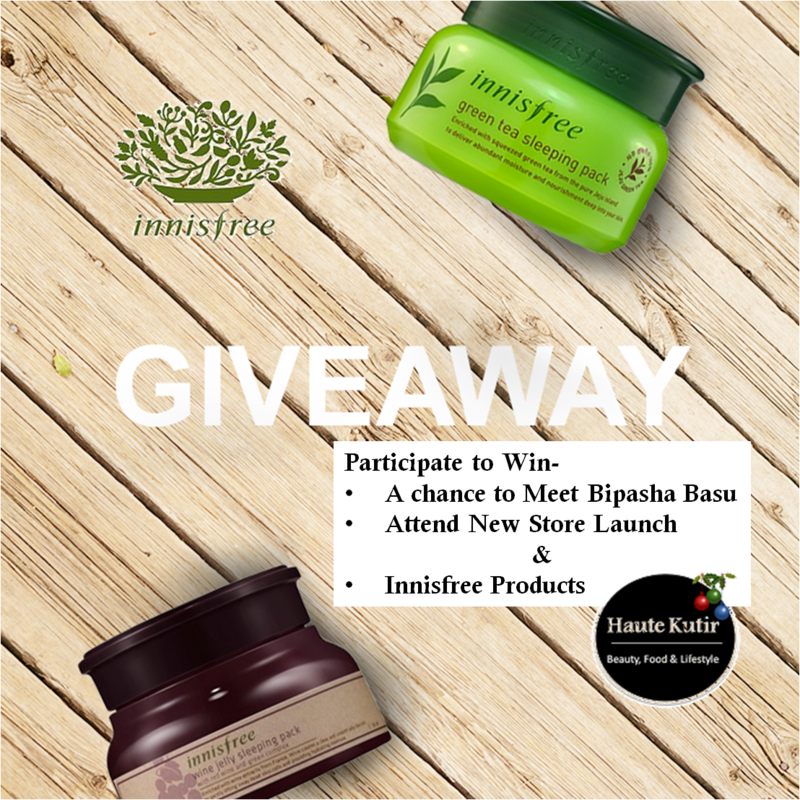 The winner will get to attend the store opening this week and meet Bipasha Basu who will be present for the prestigious launch. Also, the winner will win 2 amazing products from Innisfree worth Rs 2000 and above. If you cannot make for the launch, you can collect your prize within 2 weeks of winners announcement from their store. So hurry, what are you waiting for?